Let's try this again! All prices are shipped in Canada or US. Hit me up if you are in another country for shipping. Shogo longboard - $125 shipped. The yellow gonz is 420. What's the wheelbase on the Shogo? amazing deals on all of those. Seem underpriced we will see how long they last. Actually, the wheelbase on the Shogo longboard is 19.5". If you're talking about the Shogo Pineapple and not the longboard, the wheelbase is 16.25". I was clueless on how to measure wheelbase for a long time, but I think I probably learned it here. It is the distance between the inside truck holes. Check the link Fuzzlord posted to see how Wes designated the wheelbase for the Shogo longboard (19.5"). Seeing 21.5", I thought maybe you were thinking of the Long Pig, which is 21". For the record, IIRC, there was some slight variation in the wheelbase on the Shogo Pineapple decks. 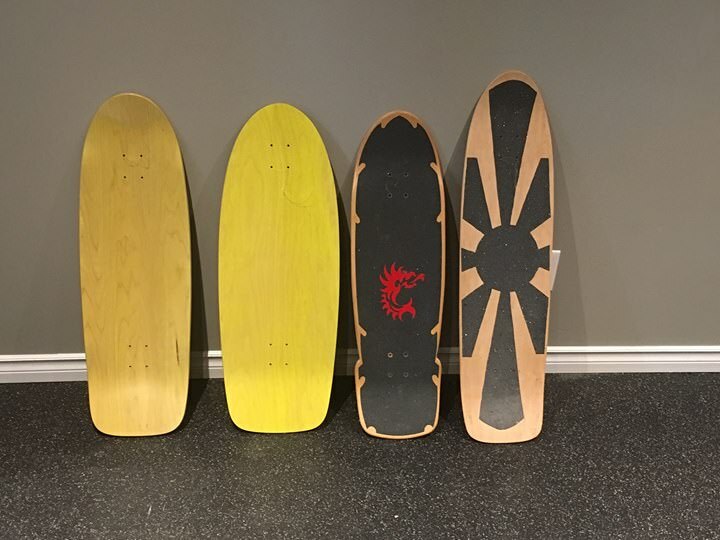 Like, I think maybe the boards without wheel wells had 16" (or even slightly less) wheelbase and not the 16.25" wheelbase of most of the Pineapple decks. I have also learned here that is how you measure wheel base, but never set well with me because in other vehicles the wheelbase is the distance between the center of the wheels up front to center of wheels in back. I guess with skating that can change with the different shapes of trucks that would put the center of the wheel in different locations, so my second though would be front of truck mounting holes in rear to the front of truck mounting holes in the front. or rear to rear; either way you get the length of the center to center of the truck mounts. 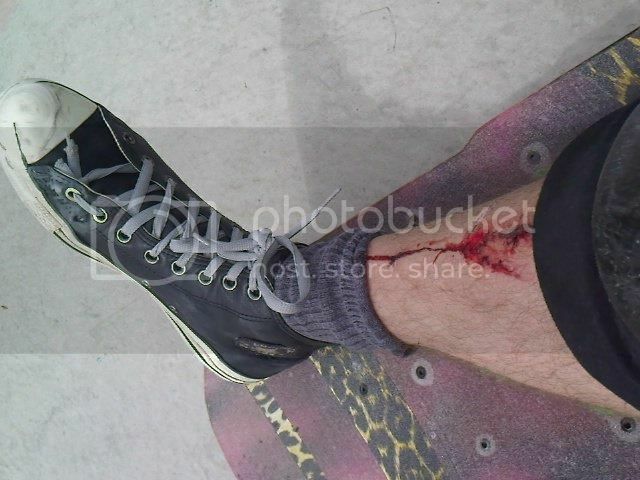 In skateboarding wheelbase has always been measured between the inner truck holes. I know that on a car you would probably measure from the centre of the wheel but on a skateboard the wheel doesn’t remain in the same location as it pivots and moves backwards and forwards depending on which way you are turning. Industry standard is between the inner truck holes. Shogo Longboard is a 19.5” wheelbase. The Shogo Bomb had a couple of different runs and the wheelbase changed slightly between the different pressing and manufacture of that deck. 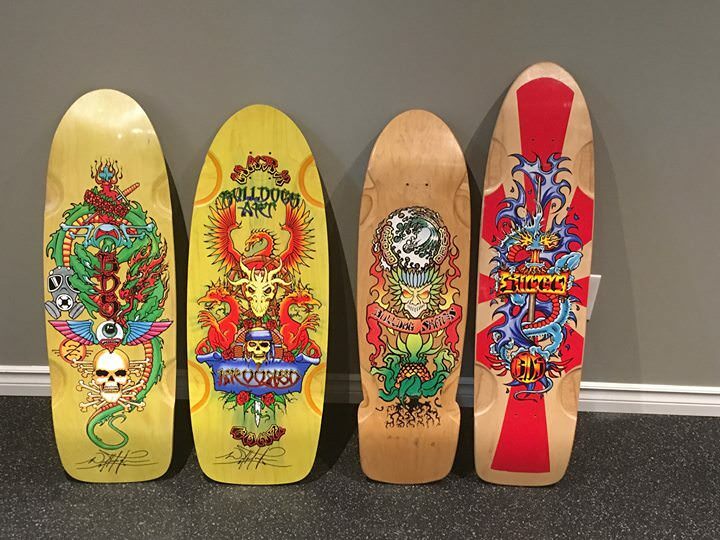 Awesome decks. I'd pick up the Beamer if I didn't have 6 already.